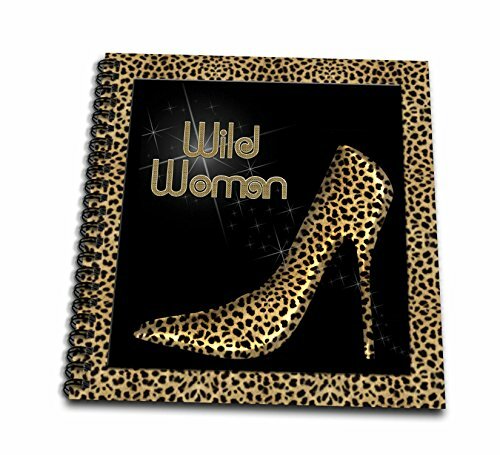 Cheetah print Wildly woman stiletto pump and diamond bling drawing book is a great way to start sketching, drawing, designing, scrapbooking, or just jotting down your thoughts. This unique spiral bound book features a sublimated matte board cover and includes acid free blank bright white paper. A great alternative to the standard photo album or notebook. Perfect for use with crayons, markers, paints, pastels, stickers, pencils and pens. Great as a gift for any occasion. Enjoyed by all ages.